Medical Negligence How Does English Law and Scots Law Differ? There are three legal systems that make up the legal system within the United Kingdom; English law, Scots law and the law of Northern Ireland. The United Kingdom as a whole does not have one particular legal systems as it is made up of different political unions that have merged together over time. It was the Treaty of Union under the Act of Union 1707 that created the Kingdom of Britain but allowed Scotland to have their own judiciary system however it must be stressed that the UK Parliament have the overall power especially when making legislation that effects the UK as a whole. A later Acts of Union in 1800 brought about the United Kingdom of Great Britain and Northern Ireland however they did not have the same provisions of a separate legal system but the right to have their own courts. The English law covers England and Wales in reference to both civil and criminal matters and is said to be the leader of common law setting preference to other legal systems. English law which in principle is quite contrasting to civil law and has been since 1189 it is fundamentally its own legal doctrine with judges who sit in courts making the law of the land through decision made in court that in fact set precedent for future cases. As time has progressed and parliaments have been seen to have more influential power, the past law making which was created by judges transformed and it leaned more against parliaments making legislation. The Senior Court of England and Wales heads all the courts in England and in Wales which includes the Crown Court, High Court Justice and the Court of Appeal. What is medical negligence? visit Medical Negligence medicalnegligenceassist.co.uk to find out what medical negligence is explained. It is fair to say that for two countries to be part of the same nation they have contrasting legal structures with the Scottish having what can only be called as a unique legal system compared with the legal system of other countries. What sets it apart from other legal systems is the fact that a verdict can be, guilty, not guilty and not proven where as in most courts its either guilty or not guilty. It’s fundamentally based on a legal precedent that was around during Roman times that said it has areas of common law along with legal law that dates back to medieval times combined within it legal system. The Acts of Union 1707 mentioned above meant that both England and Scotland saw their legal systems mixing although each legal system remained separate to their own country. Major influences on Scottish law have come from legislation set by the European Parliament and of course the devolution of powers when Scotland was granted the rights to have their own Parliament in 1999. There are two senior courts within the legal system of Scotland, the Court of Sessions which deals with civil matters and the High Court of Judiciary for cases of a criminal nature. The Sheriff court in Scotland is used for most civil and criminal cases with the Supreme Court of the United Kingdom that is set as the highest court of appeal for civil cases. Whether medical negligence takes place within England or Scotland what defines it remains the same. Both legal systems define medical negligence as the below standard of treatment or service provided by a health care professional that has in some way caused further harm or injury to a patient that they are responsible for. It must be proven that a health care professional of a similar ability would not have acted in the same way. Medical negligence is a very serious matter as it can have severe repercussions on its victims. Medical staffs are there to assist those who fall ill or injure themselves and although no medical professionals cause harm deliberately the fact that standards fall is a breach of their duty. As with English law Scots law also has a strict and often unchangeable time limit meaning that any person who feels they have been victim of medical negligence must pursue a claim for medical negligence within three years. There are exceptions to the rule and in some cases it is down to the judge’s discretion. How Does England and Scotland Differ in Terms of Medical Negligence? Currently there is a scheme run in Scotland known as Clinical Negligence and Other Risk Indemnity Scheme (CNORIS) which tries to manage damage control when it comes to how much compensation should be awarded in medical negligence cases so that a disproportional amount of funds are not taken from the www.nhs.uk Scotland. As with law set in England the amount of compensation is decided by the court or by a settle amount agreed on by the two parties, the defendant and the prosecution as a out of court settlement. Those that are directly employed by the health board are covered under the scheme in case of any liability that should be brought against them. The scheme that was created in 1999 but was not enforced until 2000 was quite different to what had been implemented in a medical environment before. It meant that strategies were formed so that in the event of a medical negligence law suit cost effective procedures could be easily put in place. The scheme meant that financial risk factors were taken into consideration when judging how effectively to handle the case. Calculating the risk factor even before an incident of medical negligence has taken place is key to the scheme working efficiently so that plans can be put in place before hand also very importantly to reduce the amount of negligence that may take place if procedures can be implemented to protect patients. The European Union which is made up of 28 member states and governed by several institutions which include; European Parliament, the European Commissions and the Council of Ministers all which are responsible for the creating of laws concerned with the EU. After World War ll there was a call for the European countries to make alliances and prevent any extreme national behaviour from taking place again after the devastation it had caused. The Hague Congress which took place in 1948, bringing together delegates from all over Europe as well as America and Canada to discuss how to move forward from the after math of the Second World War, was saw as a huge significant moment in time as it was to be the beginning stages of the European Union. 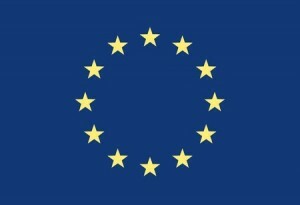 The European Union which wasn’t actually formed and named until 1993 after much delegation from many countries is based on several international treaties which are all signed and approved by all of its members. The European Union operates using inter-governmental decision making and with its three institutions creates new laws when needed for all its member states. Once a European law has been passed all member states must implement such a ruling and this is where the UK and Scotland may be influence i.e. UK in terms of reserved matters and Scotland on devolved matters. The European Parliament which is elected every five years and composes of 751 members, the UK having 73 MEP’s 6 which are elected to represent Scotland is the only institution out of all three that has directly elected members. It is the job of the European Parliament along with the Council of the European Union and European Commission to makes laws on issues that concern the European Union. The Members of the European Parliament (MEP’s) are selected and elected using a form of proportional representation and use d’Hondt formula as do the Scottish Government. The European Parliament usually meet in Belgium in Brussels however there are monthly meetings in France at Strasburg. Members of the European Union that represent Scotland are not from specific regions or constituencies they are there to represent Scotland and its issues as a whole similar to how the Peers represent the UK in the House of Lords. As MSP’s roles are completely different to MP’s so are the roles of the MEP’s however if one chooses to do so they can have ‘dual mandate’ and be both a MSP and a MEP however no one as yet has had both roles at the same time. In regards to law making the Scottish Parliament does not need approval from the UK Government when passing Bills on devolved matters only reserved matters and in regards to passing legislation on devolved matters the Scottish Government do not need European consent either unless any of their new laws are in contradiction with existing European laws. There is no denying that the Scottish Parliament want to build a solid and construction relationship with the European Union and strongly considers that the EU plays a huge part in achieving the goals set out by the Scottish Government. Scotland sees the EU as having the connections needed so that Scotland can prosper in terms of economy, business, investments and tourism. Scotland wants a strong standing within the European Union so that partnerships can be formed with those members who have likeminded ideas so that European institutions are forced to focus on issues that will relatively benefit Scotland. There has never been any denying that Scotland wants to have a firm and solid relationship with the European Union and its members as it feels that it has the qualities and advantages that Scotland desires in order to gain social and economic growth. Scotland makes its stance clear when it comes to the EU and they believe that the advantages the European Union can offer it far outweighs any concerns they have regarding the EU’s faults. As a whole it would seem that Scotland benefits from being a member of the EU and has no wishes to have their relationship dissolved. Smoking around hospitals, and around patients has long been a topic of debate for people, but MP’s in parliament in Scotland have finally started to make history by setting into place a new law. This law will in fact stop smokers from being able to smoke in some areas of hospital grounds. The new bill will see the government legally enforcing bans on smoking a safe distance from hospital buildings and hospital grounds in Scotland. In the new bill they are making sure that hospital estates have no smoking areas, a smoking perimeter and just how large it will be is yet to be sorted out in parliament. A lot of questions have been put forward about just how practical this law will be, and the committee has questioned the feasibility of the approach that will be taken. It has however, been concluded that the bill will have unintended consequences of increasing compliance with other sections of smoking areas in hospitals because of the areas that NHS organisations have set up to allow smokers to actually smoke. The new legislation will make smokers more aware of the places that are designated to them to be able to smoke. It has been debated a lot as people feel like at the moment smokers think that most areas of the hospital are off bounds to be able to smoke. However, with the new legislation it is making people aware that there are areas that they can still smoke in. It has been recommended that the NHS is able to set in force the areas that they want to be none smoking. The conclusion was that the NHS should not allow smoking on their grounds as tobacco has a very poor impact on people’s health’s and it is best that a no smoking policy is set into force. The parliament committee agreed that there is a very big issue with smokers being allowed to stand inside doorways and designated access points. As it is casing damage to people with second hand smoke inhalation, and making none smokers that are sick, and not sick, victims of having to inhale smoke from selfish individuals that choose to smoke because of their own addition to nicotine. It was agreed that it is necessary for hospitals to be able to communicate with their patients and families of patients to make it known that smoking is dangerous, and that it is in fact going to be illegal to do so in some areas. Fines will be set into place and a complete overhaul of the system will be made with regard to smoking! The new bill that was set in place also means that the sales of nicotine vapor products, which are otherwise, refereed to as e cigarettes will be restricted, and it is evident that they do have a detrimental effect on health, despite being considered as a lower health risk option than your traditional cigarette. Just how the sale of these types of products will be restricted is yet to be discussed with more attention to detail, but one thing that remains sure is that this is very detrimental to the law being set into place. The deputy governor Bob Doris has said that all you need to do is look around in the street and you will be able to see just how popular the e cigarettes have become, they are everywhere, and people both young and old can be seen with them! I Bob thinks that it is common sense to restart the sales of them, as with the sales of other tobacco products as well. Despite the e cigarette market being viewed as a method of being available to help people to stop smoking, it was also decided that a lot of research is needed to clarify the safeness of such a product. Guidance is going to be offered and health and social organisations are going to have to take their role when the new laws are set into place! One thing that is for sure is that the new laws will create a stir among smokers, none smokers will welcome them. How Does the Legal System in Scotland Differ To The One in United Kingdom? There are three legal systems in place in the UK. Those consist of English law, which is applicable to the law of England, Northern Ireland and Welsh law, which of course applies to the laws of that region, and Scottish law that applies to the laws of Scotland. The law systems that are set in place all can be dated back to the High Middle Ages, and there has been a legal system set up in place for centuries! There are different ways practised in all regions of the UK when it comes to legislative competence, but there is, substantive law that is applicable to the whole of the UK. There is not one single legal system in the UK, as it has been set up and created by a lot of political unions of countries that had been independent prior to being in the UK. There is an article written in 1707 that is called the Treaty of Union and this article created in writing in the Kingdom Of Great Britain. It also made sure that Scotland had a guaranteed separate legal system. Cases that have been heard in Scotland though, can still be referred to the Supreme Court of the UK which is the highest court for civil cases that are heard in England, Wales and Northern Ireland. Quite Simply the Courts in Scotland consist of the chief courts, which are the courts of session for civil cases, the high court of judiciary, for cases that are criminal, and the Sheriff courts which are for criminal and civil cases. So there are there main Scottish courts! English law is the term used to refer to the law in England and Wales and this is made up of the magistrate’s court and the Crown court. English law is a term used for many a time, it is in reference to the legal and judiciary system of England and Wales. The underlying fundamental issues regarding English law is Judges making decisions using legal precedent. The Supreme Court of the United Kingdom has overall power in reference to all regional courts within the UK and their decision is final. The death sentence is not present in the UK at all now! Scottish law is very diverse and there are a lot of roots that are traceable to different historical times. There are a lot of elements in the Scottish law system that can be compared to those of Northern Ireland, Wales and England, however, there are a few different ones that have unique sources. The earliest form of Scottish law can be dated back to the 12th century when different cultural groups lived in the country. The Gaels, Anglo Saxons and Britons were the inhabitants of the region when the law was set into place. Methods that were imposed in the 12thcentry are methods that form the legal system in Scotland that is running today. Since 1707 the Scots have shared legislation with the laws of England and Wales. Scottish law is a very diverse area of topic, and in recent months Scotland as taken a spot in the lime light because of the recent votes for Scotland to remain as part of the UK, or of course to separate. It was a very close call. Who knows what the future has to hold for Scottish law, but one thing that is for sure is that it will always make for interesting reading!